We're getting the newsletter back on its feet after some time away. Welcome to your April 2017 news and updates! This newsletter is optimized for desktop viewing. *Social tournament outside of D2 league--much fun and all are welcome! 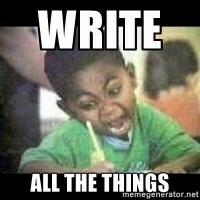 Got an idea for an All Blues newsletter article? Pitch it to the media team! Share your voice, and earn princess hours while you're at it. Contact Vic at allbluesmedia@googlegroups.com. 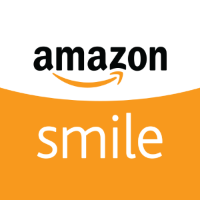 Instead of shopping at amazon.com, shop at smile.amazon.com and select "Bay Area Youth Rugby Inc" as your charity of choice (they are our non-profit fiscal sponsor). It's the same website/products/prices, but a portion of every purchase goes to the club! As always, thank you for your support! Who's Who on the Exec Board? We've had some pretty big changes in the line-up. Read all about your current officers here, and see how these folks make our player-run club work. 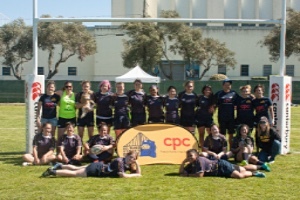 CPC Player Profile: Courtney Hendrickson. She's got the speed, the stamina, and the field vision. A relative newcomer to rugby, she is quickly learning the game. Get to know this quirky and speedy 13. Beantown and Chicago North Shore join the WPL. Exciting times are ahead as the WPL expands from 8 to 10 teams for Fall 2017. Beantown, original member of the WPL, returns and will join the Eastern Conference, and newcomer North Shore will be on the Western Conference (with us!). 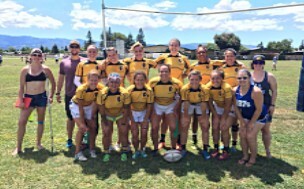 Read all about it from USA Rugby. Rugby and beer. Bev Armstrong, a former Beantown player, decided to leave a steady job in biotech to follow her passion--making beer. The result is Brazo Fuerte Brewing Company, where she named some of the beers after her teammates. Read about her here. Got some stuff clogging your closet? Now's the time to get your spring cleaning done! We'll be collecting donations from now until Friday, April 14th. Contact us to coordinate drop-off and pick up. All donations are tax-deductible! And come to the event to volunteer, hang out, or score some great finds--check out the FB event page! Former All Blues player-turned Oscar-nominated filmmaker Amanda Micheli is kicking off the national release of her latest documentary, VEGAS BABY in Oakland this month! The film explores the emotional, physical and financial costs faced by couples with infertility--from a devoutly Catholic Latino couple in Texas to a lesbian Lady Gaga Impersonator in New York. For the screening to happen, advance tickets must be sold by April 13--please come out and support! Check out the trailer and buy tickets for the Bay Area screening here.